One day only, April 15, 2017, 10am - 3:45pm, regular adoption fees are half-price. Click here for more information. As the story is told by Orlando Richardson, who resides in Texas, he had acquaintances watching his dog while he was away. When he returned, they had left with his blue Pit Bull, Lexi. Orlando was heartbroken and relentlessly called them trying to arrange the return of his dog until one day the number no longer worked. He thought that he would never see his beloved Lexi again. A year and a half later, the Animal Center of Moore County received a blue Pit Bull, when the staff examined her and found she had a microchip…it was Lexi!! Mr. Richardson was contacted immediately. Fortunately, he was working in South Carolina at the time so he was able to make arrangements to make the drive to the Animal Center to reunite with Lexi. 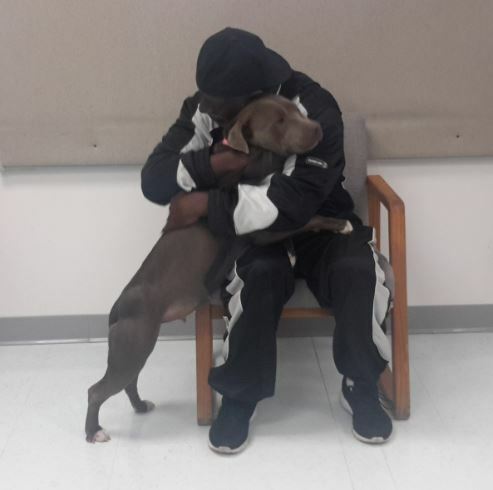 Mr. Richardson was a little worried that she may not remember him, since she was only a puppy when he last saw her, but when Lexi was brought up to him, she jumped and wiggled in his arms with sheer joy. Lexi obviously recognized Orlando Richardson making for a heartwarming reunion. 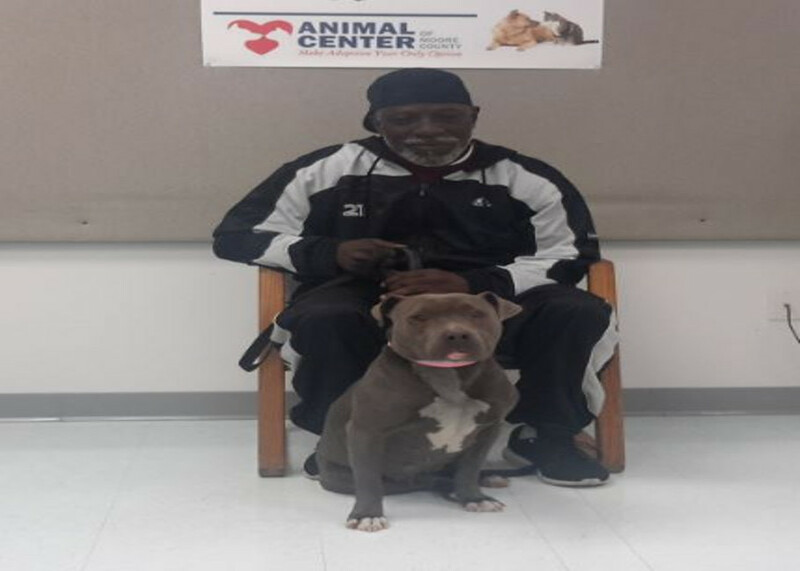 This story had a very happy ending, all because Mr. Richardson had Lexi microchipped! Moore County Animal Operations will be promoting “Share the Love” throughout the month of February because LOVE is a five letter word: ADOPT. For the entire month of February, every adopter will receive a personalized photograph with their new “Valentine” family member. 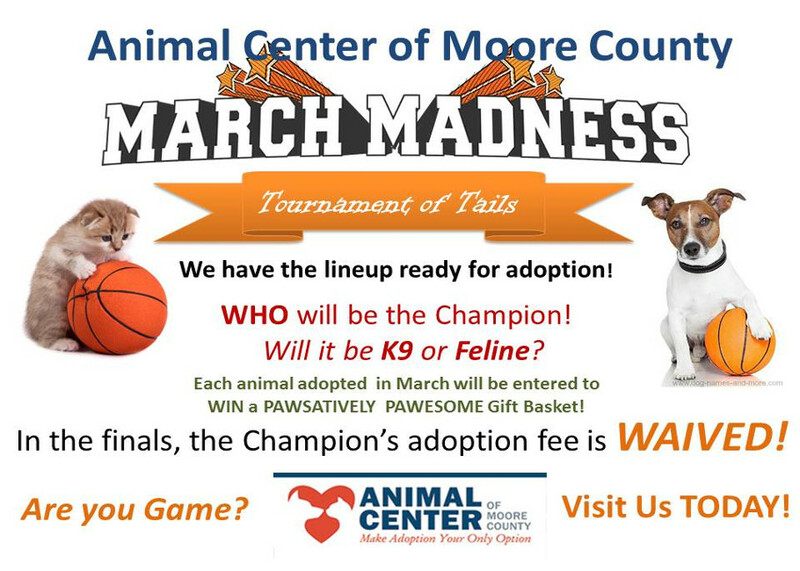 Each adopter will meet with a pet adoption counselor to find the perfect companion animal for their household and staff will be available to answer any questions the potential adopter may have. “We look forward to helping people find their wagging or purring Valentine!" said Brenda Sears, Animal Operations Director.